The staff seems to focus on helping their customers and not ripping them off. I service my car here and that is the extent of my relationship with them. I have walked around the auto sales area and they don't seem to have very many cars in stock. Also, the parts department looks very empty, I assume that they focus mainly on ordering parts. Another LA Car Guy group dealership that's setting the standard on sales and service. A very close friend refer me to this dealership. I was somewhat scared of the commitment. I had been looking around all day and thought I knew what I wanted. We had started to look at the numbers, when I told Joey I had mixed feelings and had another car in mind. He allowed me to test drive it. I knew the CHR Limited was my car the moment I got in the drivers seat. He showed us the tech and gadgets that came with our car and how to use them. Joey Haro is definitely the man to go! He also followed up with me a few days later to make sure I wasn't having any problems or questions. Joey, thank you SO SO much!!! I am beyond pleased with the whole experience. The leasing process wasn't so scary after all!! Sam Mull was attentive and thoughtful, and even though I had to bring the car in THREE TIMES for the same issue, everything after the first was complimentary. 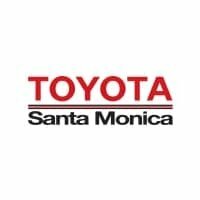 Best thing about Toyota Santa Monica is its proximity to the Santa Monica Library, so if you have to wait, you have the world at your fingertips.